The first phase of collecting for the Museum was done by Irving D. Charlton. He gathered artifacts during his travels, from donations, auctions and even from garbage dumps! He donated the initial land for the facility in 1936 and continued to add to his personal collection. He bequeathed this collection to Historic Charlton Park upon his death in 1963. 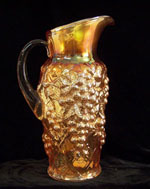 This collection is broad and reflects his personal interests. Charlton's goal was to preserve rural Michigan for future generations. He collected agricultural equipment, domestic items, musical instruments, lighting and communication artifacts, basketry, and textiles. It is believed he had approximately 100,000 artifacts at his death. During the second period of collecting, 1967-1989, Barry County buildings and artifacts were added to the collection to support the creation of the historic village. These buildings also provided areas to display/store Charlton's collection. 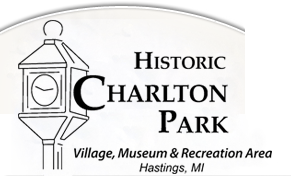 From 1989 to present Historic Charlton Park collects those items of Barry County and Michigan history that fall in the years between 1850 and 1930. Therefore, the primary focus of the collection is currently Michigan and more specifically Barry County. Due to the physical size of the collection, acquisitions are very limited. These items in the collection make up the fabric of Michigan life. Charlton did a wonderful job preserving the past for the future. We are truly fortunate to have a one-of-a-kind collection like this here in Barry County. Historic Charlton Park does not have scheduled research hours, but inquiries are welcomed. Please contact the Collections Department, by e-mail or phone (269) 945-3775, at Historic Charlton Park for further information.